Looking to check off that Christmas list? I know what I’d want! A Book of the Month subscription! Okay I’m loving this concept, Book of the Month you are on a roll here! 1. 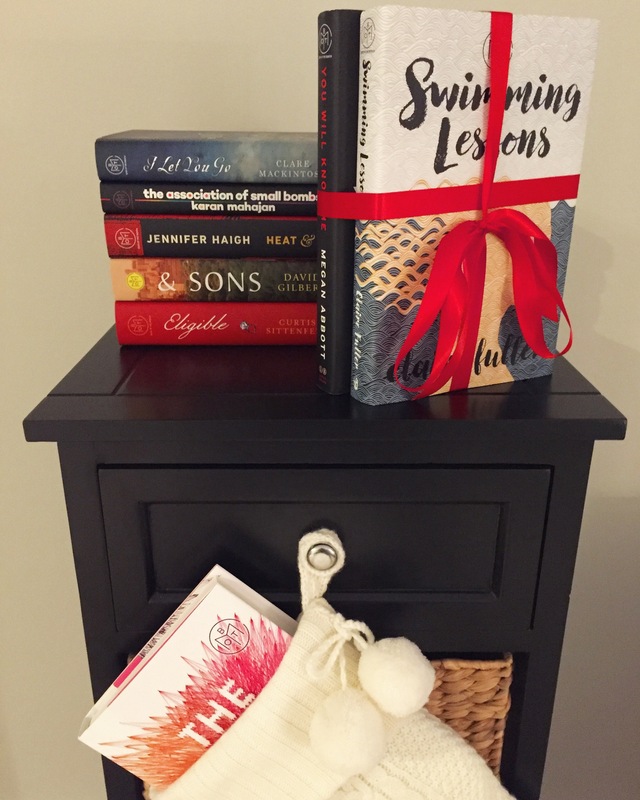 Swimming Lessons by Claire Fuller – I was most excited about this one, a story of a wife who hid letters to her husband but never sent them but left them neglected and forgotten among her books. Such a good read and chosen by Steph Opitz who is a Book Reviewer for Marie Claire so knows her stuff! 2. You Will Know Me by Megan Abbott – a story of the emotional and financial struggle a family goes through to support their daughter, a murder mystery for sure! C﻿hosen by Ken Nguyen who is a book reviewer for GQ. 3. The Sun is Also a Star by Nicola Yoon – far more than a boy meeting girl story set over one day in the life of two young ones. Chosen by Dana Schwartz who is a writer for the Observer and working on her own book. 4. Pull Me Under by Kelly Luce (not shown in photo) – A story of a woman with a hidden past chosen by Liberty Hardy who is often a judge for BOTM.